Finally, after weeks of tough organising and getting all the information into place, the eMOOCs2015 conference site is up and running, and the call for contributions is open to all of us. Whether you are a researcher, a k-12 teacher, a trainer for a big company, or getting a MOOC together for ngo missions... the eMOOCs track offer a wide variety to get your experiences known to other colleagues. As I am the chair of the Experience track, I would say: get your papers and videos coming, for experiences are the driving force for all of us. 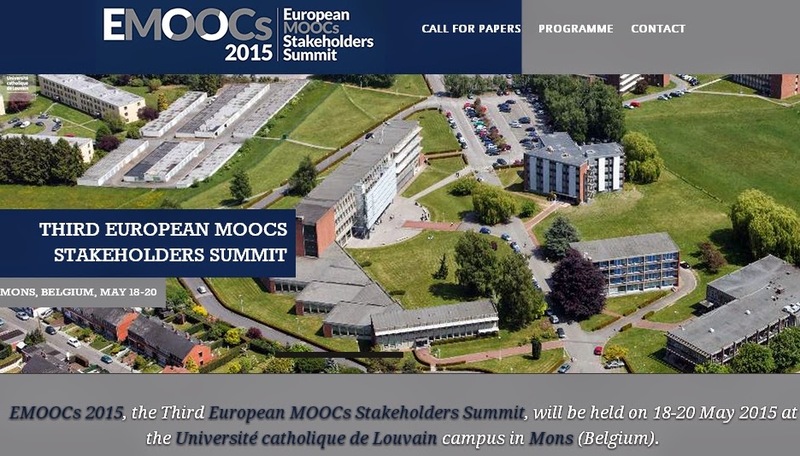 The eMOOCs conference is the biggest MOOC conference in Europe, and if you want to see what was going on in 2014, take a look at the collected papers from the previous conference rolling out here. Deadline for the contributions: 12 January 2015. Special attention: the contributions can be in the classic paper format, or they can be shared as videos to allow a flipped classroom approach during the conference. And just to be clear, you only need to upload a video if you want to get into the Flipped MOOC-experience. Massive Open Online Courses (MOOCs) and other open education concepts have changed the learning and training within and beyond the academic world. While universities are opening up education to online users worldwide, the corporate and non-profit world explore the benefits of a more online driven training for both personnel, clients, and the public at large. The experience track aims to feed the general debate on MOOCs by bringing together our shared knowledge and experiences. This includes experiences from experts who have been running MOOCs, supporting the production of MOOCs, involved in the selection of MOOCs, or analysed data. It also includes experiences of using MOOC-related technology in different contexts (e.g. in-house training, k12 contexts, developing regions, etc.). The experience track aims to share experiences, results, solutions, and to document problems. 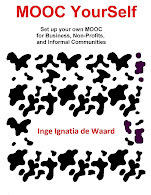 eMOOC2015 plans to support a special “flipped MOOC-experience chat”. The main idea is that open discussions should replace or add to the traditional conference presentation mode. Therefore MOOC experts are encouraged to submit a written publication (via the conference management system, easychair) and in case of acceptation also an additional 5-minute-video focusing on the main content and including questions addressing the provided topic. The video has to address the MOOC experience with an experience focal point, provide 3 to 5 thought-provoking or reflective questions related to the topic and the results of the experience to gather interest for a broader public. A twitter chat will be organized for each video, starting from the questions provided by the expert. 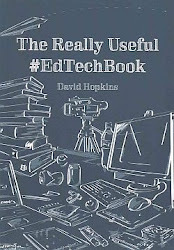 The idea behind these twitter chats is to start the conversation going with all interested parties prior to the eMOOC conference. NOTE: If you are interested in the flipped conference MOOC – track you have to check the appropriate box during your submission to the conference management tool. A bit of background on the upcoming event: in just under two weeks from now Online Educa Berlin starts. A conference bringing together eLearning academics, corporate trainers, mLearning ngo visionairs... all kinds of people with great insights and knowledge related to technology driven education and training. On Thursday 4 December 2014 the heat will be on! Ellen and I will go head to head with George Siemens and Viktor Mayer-Schonberger in a debate on whether or not Big Data is corrupting Education. The location and timing of the debate can be found in the OEB2014 program here. The stakes are high, and as the wild card in this bunch, I am totally aware of my need for help, from you the in-crowd. You: those who know, those who can pull a creative argument out of their sleeves in a moments notice, or after deep and thorough reflection ... each option welcomed as I am the only one in this bunch outside of the educational establishment. As a means of saying thank you, I will post the names (if you provide them) of all of you who sent me ideas, trains of thought, insights... Your names will be posted on a slide projected during the live stream (and recorded) debate. To recap: Ellen Wagner's and my stand: "Big Data corrupts Education", Viktor and George's stand: Big Data rocks and will save education (or something along those lines). Utopian visions are easy with each new invention, practical implementation and real-world facts are much harder to cope with. Formal learning does not give a full picture of the real (informal and formal) learning that occurs inside of each one of us. A norm translated into algorithms, reproduces that same norm multiple times. 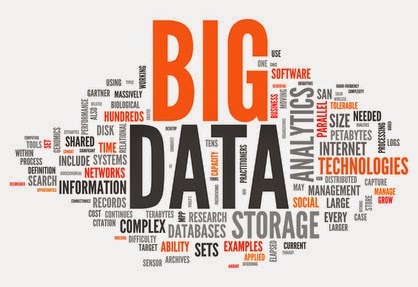 Big data can only be stored and filtered by big companies (private sector), where education and its tools should stay public good (transparent, personal). Big data is in the hands of little data elite. Jobs are diminishing at a vast rate, new jobs are being set up. Which algorithms can anticipate the skills for these new jobs. Or broader: is finding a job the ultimate goal of education? Correlation is no replacement for causality. Causality is the basis of all strong research. Even for those areas were research has been providing conclusions and guidelines for centuries, these conclusions are not necessarily being put to real use (the return and money conundrum). And at the moment my central idea is: the philosophy behind education as it is lived at this moment in time is flawed, as such reproducing Big data algorithms to reach the current educational trends will be reinforcing flawed educational actions. The flipped classroom approach is quickly gaining momentum. Nevertheless, it has its advantages and challenges depending on which learner group you have under your wings. 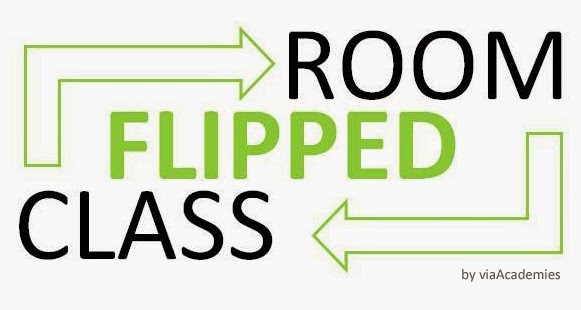 In this presentation I am giving an introduction to the Flipped classroom approach, while focusing on what is proven, the pro's and con's, the options you have as a teacher, and some related links. The presentation was part of a set of pedagogical sessions for the GuldenSporenCollege in Kortrijk, Belgium. There are two versions of the presentation, one in English (also shown below) and one in Dutch (with more Dutch links and sources) the Dutch presentation is also uploaded and can be found through this link here. The Open University of the UK has just published a new report on innovative pedagogy (37 pages). This is a yearly report (compare it to NMC Horizon report, but with a pure pedagogical focus). In this report they look at ten innovations in teaching, learning and assessment that are gaining influence. I find the focus on social learning of interest, as the report states that "Education can be dramatically enhanced by social networks, a report from The Open University claims. Massive open social learning brings the power of social networks to people taking online courses, by recommending, liking and following the best content created by other learners. The so-called 'network effect' comes from many thousands of people learning from each other, but it needs careful management to reach its full potential. " In a way this is supporting the Utopian vision of the web when it first reached a multitude of people. So an old idea is now grounded, and I must say I like this idea of social learning. The report focuses on each topic and elaborates on it briefly (approx 3 pages), giving a description, some important issues related to the topic and resources. Nice. The lead author of this report is Mike Sharples, and he sees the social learning shift that is happening now as an educational parallel of the art shift that happened when file sharing became more prevalent. But if you look at the co-authors (Anne Adams, Rebecca Ferguson, Mark Gaved, Patrick McAndrew, Bart Rienties, Martin Weller, Denise Whitelock), you can see how all these great researchers ensure a good and well researched read. After a chaotic month, where I seem to have hibernated (well, autumnated?) immersed in data collecting, my mind suddenly switched back on again. There still seems to be a lot of PhD work that needs to be done (plan interviews, analyse first data batch, dance to get my body moving), but it is time to reflect and share again. At the end of this blog I have added a presentation for all who want to become a post-graduate student at the Open University in Milton Keynes, UK. But first a brief insight in Life as a PhD student at the OU. In the past year and a half I switched from a well paid full-time, international job to a scholarship at the OU where I started as a student again. In order to study, I moved to the UK (Stony Stratford). This switch resulted in changes, some anticipated, some quite surprising. One of the surprising one's was the fact that I felt my identity was no longer straight forward. It had shifted from 'someone who knows' to 'a starting student who has a lot to learn', evidently there is a saying which I believe in (and paraphrasing heavily): the more we know the less we know... but although I knew this saying, actually experiencing a change in external and internal image resulted in profound reflections on importance, work as an identity provider, and the need to be seen as 'someone who knows' (for me that is). This realisation made me humble again, and more understanding for people who experience these shifts due to life's sudden realities: pensioners, immigrants, ... people that need to pick up a new life, away from what they felt was 'normal' and part of them. The fact that I moved to another country where I would be seen as a 'foreigner' as soon as I spoke in my Flemish English voice, also resulted in some new experiences. For some people it never matters where you are from, you are just you. Luckily, in the past I have encountered many of those people, mostly because they are also part of the world, and have had multiple continent experiences. For others a foreign accent tend to rouse suspicion, most of the time that suspicion would diminish as soon as I mentioned I would be a 'Belgian'. Which is also strange, as one is never as much a Belgian as in another country. The culture and social do's and don't's are of course different (like all countries these 'normal behavior guidelines' are never outspoken, yet explicitly present) and it takes a while to get used to the differences. How come the interpretation of normal is so different for all of us? And why is different so threatening to some people? We are all constantly changing, our bodies and minds are seldom similar from one day to another, yet difference is such a manipulated concept. When you move to another country with your family, you can bet on it that your relationship will come under additional pressure. Suddenly the social security of family, friends, and even acquaintances is no longer ready and available. You need to survive in the new environment relying on your partner and child/ren. In my case that means tackling extra discussions, because all of our joint personal characteristics got gigantic! There was no way we could voice our personal complaints to others while drinking coffee/tea/beer/wine... it was just us. Frustration became a recurrent feeling, until we accepted once again what each of us stood for. We realized why we were partners, why at some point we choose for each other: "with all our qualities and defaults". This was a crucial step in our mutual family relationship: suddenly - and more then ever - we accepted who we were. We saw each other under a microscope, yelled, complained, and made up with the realization that we were indeed stronger then before. Stagnate or go for change? 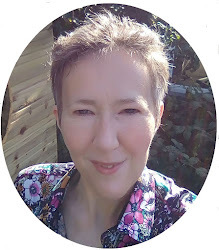 As all these experiences still boggle my mind from time to time, and life's certainties seem to be broken down on a daily basis, I often wonder: is it worth it? The change in life? Becoming a student once again? Because the future is uncertain, my age is quickly approaching 50 (WHAT!) and that gives me an additional strange feeling of doubt. Yes, it is. Oh yes! It is so worth all the tension, the adaptations, the new reflections, the uncertainties, the feeling of doubt and the realization of the really important things in life. But, I have to add that I am in a rather luxurious position: I do have someone to come home to, I know people that I can depend on, and I have a home somewhere on this planet that I can call my own. So, I can actually make this choice, and the choice is not thrust upon me.